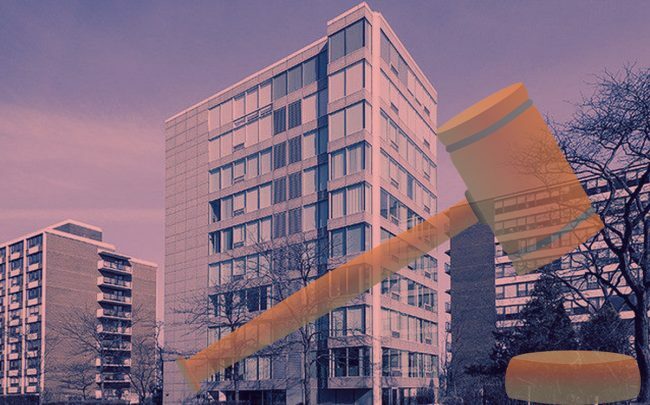 A Wilmette condo owner and his attorney were ordered to pay more than $1 million in legal fees as part of an ongoing dispute with his building’s association. A judge accused Marshall Spiegel of filing “harassing litigation” in a four-year spat with his neighbors in the building at 1618 Sheridan Road, according to the Chicago Tribune. “Spiegel has engaged in a pattern of abuse, committed for an improper purpose to harass, delay and increase the cost of litigation. Additionally, the court finds the complaints filed were frivolous,” Cook County Judge Margaret Ann Brennan wrote. Brennan ordered Spiegel and his attorney, John Xydakis, to pay the condo associations’ legal fees. Spiegel filed his first lawsuit in the dispute in 2015 and filed a series of subsequent complaints, which alleged someone left empty water bottles outside his door. He also claimed that neighbors hid in bushes, and he opposed association rules he said prohibited him from having shirtless massages next to the pool, according to the Tribune.